Wendy's 3-D Cats: THE 3-Ds IN HATS WITH A DIFFURENCE! 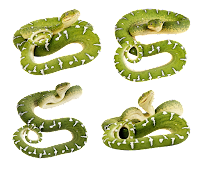 This week Dante and Dylan have deviated from being the latest fashion plates to celebrate reptiles, both current and extinct. Domino is her usual pretty in pastels as she's not too fond of those cold-blooded creatures and doesn't want anything to do with them. Dante is all excited to see the newest Jurassic film -- "Jurassic World". He has a penchant for dinosaurs, especially the terrifying T-Rex. He admires their hunting skills. 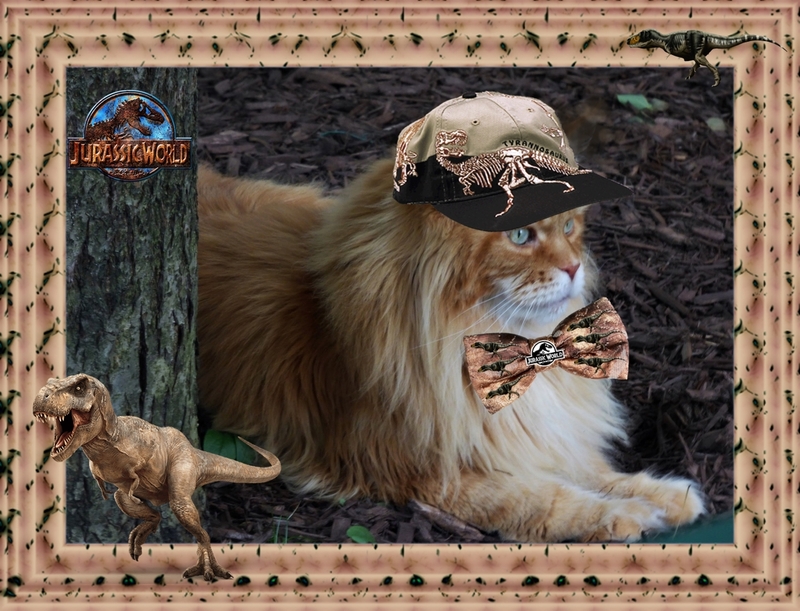 So he is wearing a Tyrannosaurus baseball cap, and a Jurassic World bowtie while waiting for the movie to start. Forget the popcorn -- a corn-fed creature or two would be preferable! Dylan, too, wants to venture into the jungle -- at least in his mind. 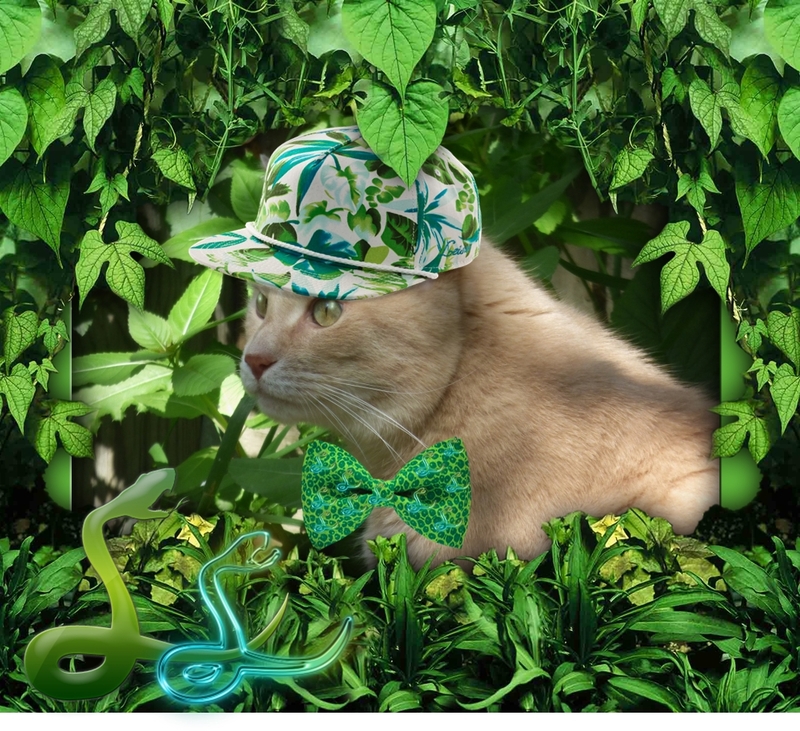 He's trying to CATmouflage himself by wearing a tropical fern hat and a bright green bowtie studded with snake images. Dylan likes snakes because they, too, are good hunters. He admires how they swallow their prey in one big gulp and then digest them slowly. "I'm all 'four' snakes!" exclaims Dylan. And after all of that, Domino is a breath of FUResh air in this orange, pink and peach creation with a tiered tule skirt. 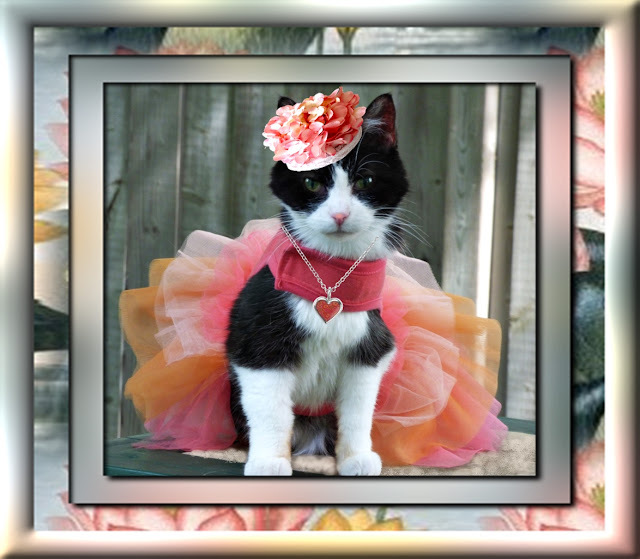 She has mounted a coordinating fascinator on her pretty little head, and fastened a similarly-hued heart necklace around her tiny neck. "I'm feline jus' peachy keen! ", remarks she enthusiastically.